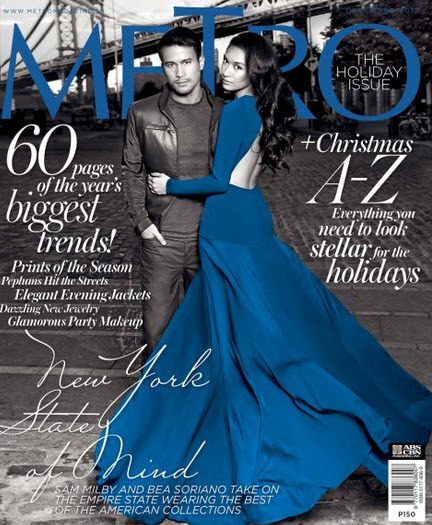 Sam Milby and Bea Soriano Pair for the Holiday in the Metro Magazine Covers! Metro magazine releases their two-cover magazine for the holiday season featuring Sam Milby and Bea Soriano! In the Holiday issue of the said mag, the pair seem to travel the in-demand holiday places like New York and Manhattan with the cover titles of "Made in Manhattan" and "New York State of Mind."